Pop into our West London (Harefield) rehoming centre this Bank Holiday Monday between 11am and 4pm and it'll be a bookworm's paradise. 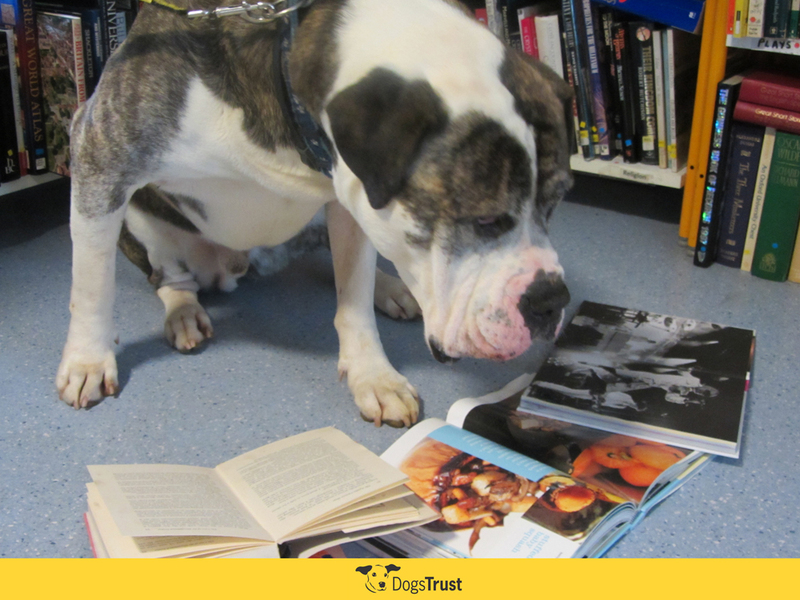 Eight-year-old Mastiff Cross Huxley and his pals at Dogs Trust West London will benefit from the generosity of book lovers, who have helped the centre gather a large number of donated volumes for the charity sale. Everyone is welcome to pick up a bargain or even drop off more books for sale. "We are so grateful to everyone who continues to donate books to help our rescue dogs, so thank you one and all. People are often surprised, not only by the fact that we have a book shop in our reception, but that it stocks such a vast array of books. From children's illustrated offerings to DIY manuals we have something for everyone." Of the 18 centres in the UK, Dogs Trust West London alone cares for around 1,000 dogs every year, and Huxley and chums, alongside all the staff, are very grateful for every penny and pound coming their way. If you're interested in offering this gorgeous chap a home, please give the centre a call on 0845 076 3647 or drop in during opening hours to find out more. Are you going to drop in and splurge? If you're not near the centre and you have books to spare, don't forget you can also sell them through Green Metropolis to raise money for the dogs in our care.